In this episode of Know Your Food with Wardee, you'll meet The Survival Doctor, James Hubbard, M.D. As a practicing family doctor for 30 years, he's one of the nation's top survival-medicine experts and the author of a brand new book, The Living Ready Pocket Manual to First Aid. This podcast is a part of his book launch blog tour, and I'm thrilled to be part of that! Get to know Dr. Hubbard and his new book through the links and information below, and of course through this podcast. Plus… the tip of the week! Dr. Hubbard recently shared this breaking news on his blog — honey is an effective and safe cough medicine. Yet another benefit of honey! Visit the post (especially the comments) for more info. Be sure to leave a comment with your favorite natural cough remedy! 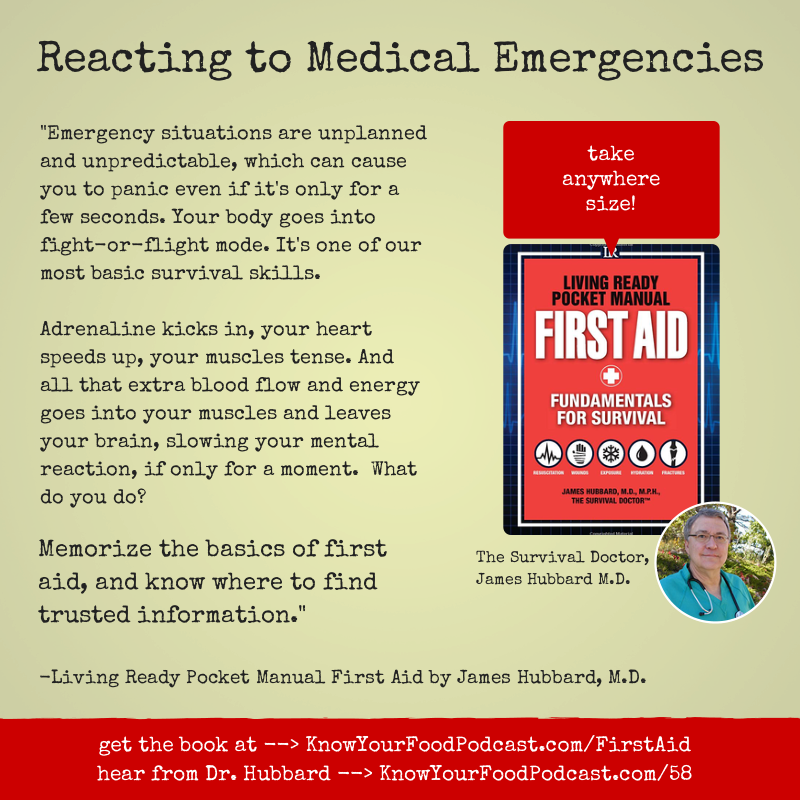 Dr. James Hubbard is one of the nation's top survival-medicine experts and the author of the new book Living Ready Pocket Manual: First Aid. At his popular website, TheSurvivalDoctor.com, he writes about how to deal with medical problems in a disaster or whenever expert help is impossible to get. He's been a family doctor for over 30 years. 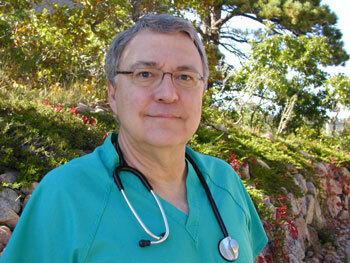 Dr. Hubbard is also the author of: The Survival Doctor's Guide to Wounds and The Survival Doctor's Guide to Burns. it really is take-anywhere sized! Plus you'll find detailed packing lists for survival first aid kits of all sizes. 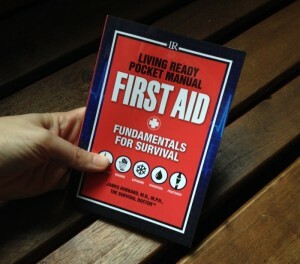 This pocket-sized manual is perfect for packing in first aid kits, bug out bags, day-hiking packs, and vehicle kits. Medical emergencies are unplanned and unpredictable, but you can be prepared, Arm yourself with knowledge that can save a life. It's a superb book and I'm very thankful to have it in case of emergency! I would love to hear from you! Do you have questions for Dr. Hubbard or comments about anything shared in this episode? Like this podcast? Please help me reach others by using the share buttons at the top of this post. Thanks!